Telephone Box Project, mixed media, 2012. (or mobile). 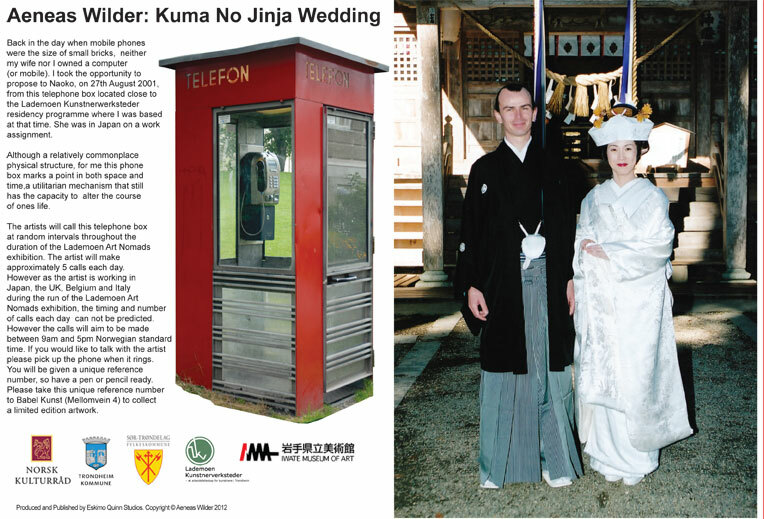 I took the opportunity to propose to Naoko, on 27th August 2001, from this telephone box located close to the Lademoen Kunstnerwerksteder residency programme where I was based at that time. She was in Japan on a work assignment. 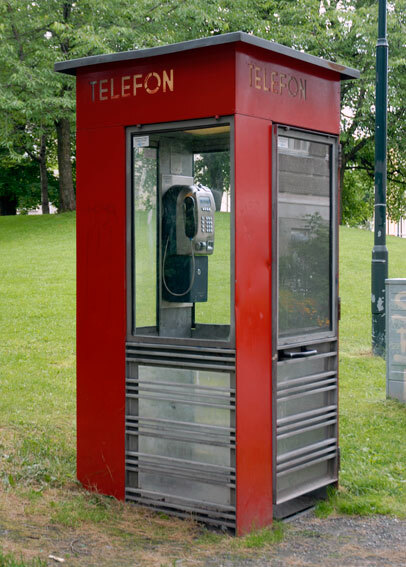 Although a relatively commonplace physical structure, for the artist this phone box marks a point in both space and time, a utilitarian mechanism that still has the capacity to alter the course of ones life. exhibition. The artist will make approximately 5 calls each day. 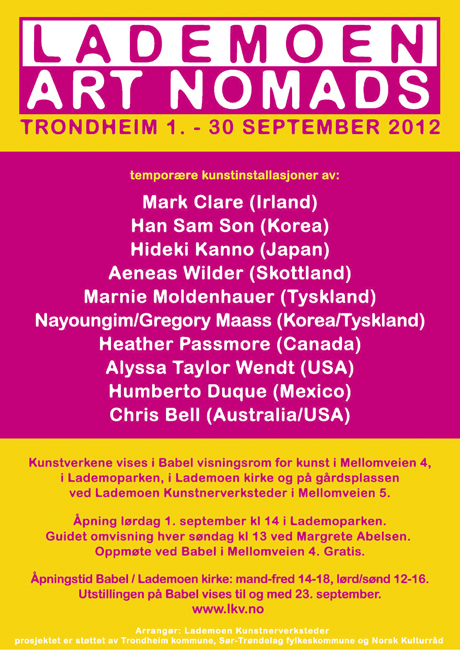 As the artist is working in Japan, the UK, Belgium and Italy during the run of the Lademoen Art Nomads exhibition, the timing and number of calls each day can not be predicted. However the calls will aim to be made between 8am and 5pm Norwegian standard time. If you would like to talk with the artist please pick up the phone when it rings. You will be given a unique reference number, so have a pen or pencil ready. Please take this unique reference number to Babel Kunst (Mellomvein 4) to collect a limited edition artwork.